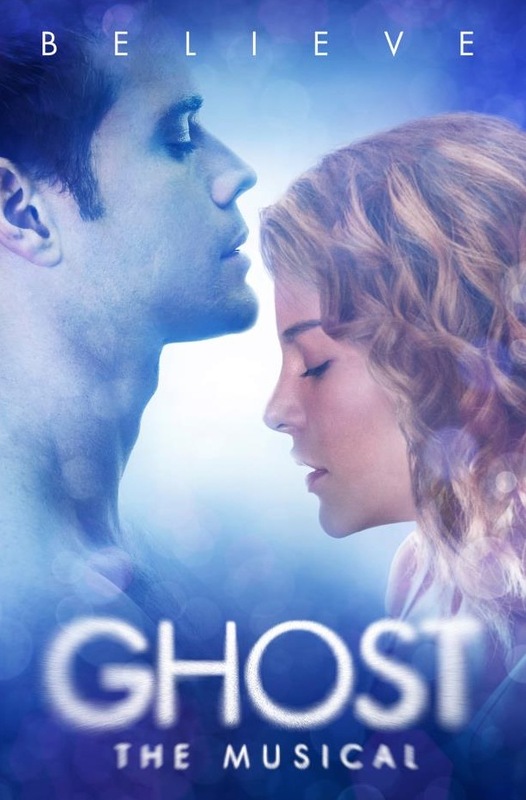 Remember a few months ago, when I posted a video preview of “Ghost the Musical” from YouTube? Well, I’ve seen the show, and I’m here to tell you about it. I’m glad they brought it to the stage, but they never should have made it a musical. The story held completely true to the film. There was nothing in the script that was at all surprising, but that’s okay — it’s a classic film, and fans would be outraged if they made any significant changes. What was surprising was the extraordinary visual effects. From the video promo I knew there would be heavy use of digital screens, but I didn’t realize quite how extensively they would be intertwined with the action. And there was a good amount of old-fashioned slight of hand that pleasantly caught me unawares. I'll admit, the stunt-double bodies were done really well. The worst part about the show, quite frankly, was the singing and dancing. And a good portion of that can be attributed to the choreographers and songwriters, because while the individual performances themselves were mostly good, they just felt wrong somehow. The dancing, by and large, just shouldn’t have been in the show. 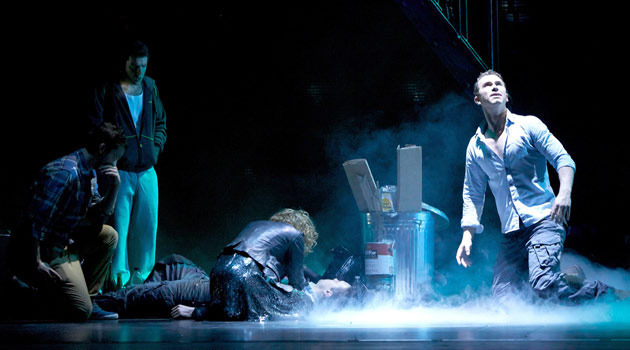 A chorus of ensemble dancers writhed around onstage at regular intervals, often trying (and frequently failing) to perform some sort of synchronized slow-motion-stop effect. It just plain didn’t belong. At no point in the show did the dancing ever convey, to me at least, any sense of emotion or help to propel the story along. We're dancing in the rain. 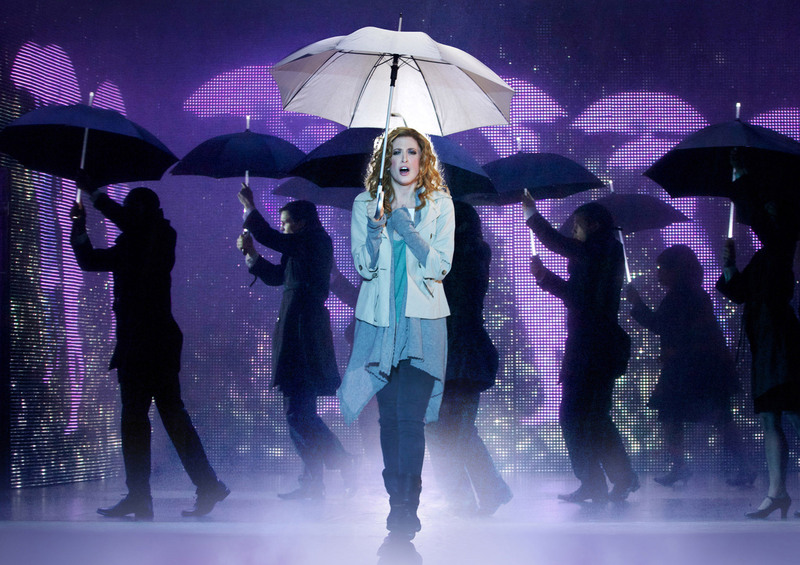 Mostly just because the choreographer likes umbrellas. The acting? Sam was forgettable. A good voice, a great set of abs, but very little ability to carry an emotional role. His version of conveying feeling was to shout. A lot. Carl was sufficiently weasely, if a bit of a caricature. Ota Mae was often hysterical, in ways sometimes reminiscent of Whoopie Goldberg but other times very distinct. And Molly was, far and away, the best performer onstage. Maybe it’s partially because she had the best-written scenes of all of the actors, or maybe it’s because she is just a very talented actress, but she’s the only character in the show that actually made me feel something. This show would’ve be infinitely better if they’d focused on telling a good story, with good actors, and good special effects. I’d say they were too concerned about making a musical and focused on people with singing and dancing talent, with some acting quality sacrificed in the process. As it stands, it was worth seeing — in inexpensive seats in the center or right sections of the audience, because the far left misses some action stage-right — but not worth paying full price for, and probably not worth seeing twice. Maybe "Be cautiously receptive to evidence" would be more appropriate. This entry was posted on Friday, March 30th, 2012 at 8:22 am and is filed under Broadway. You can follow any responses to this entry through the RSS 2.0 feed. You can leave a response, or trackback from your own site.